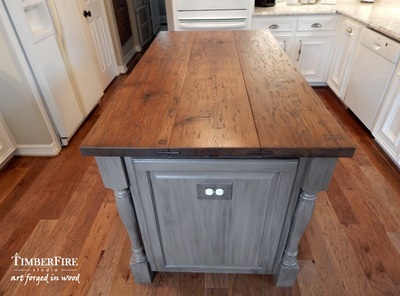 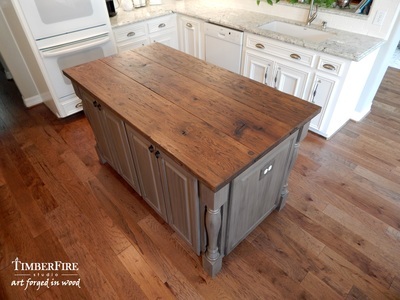 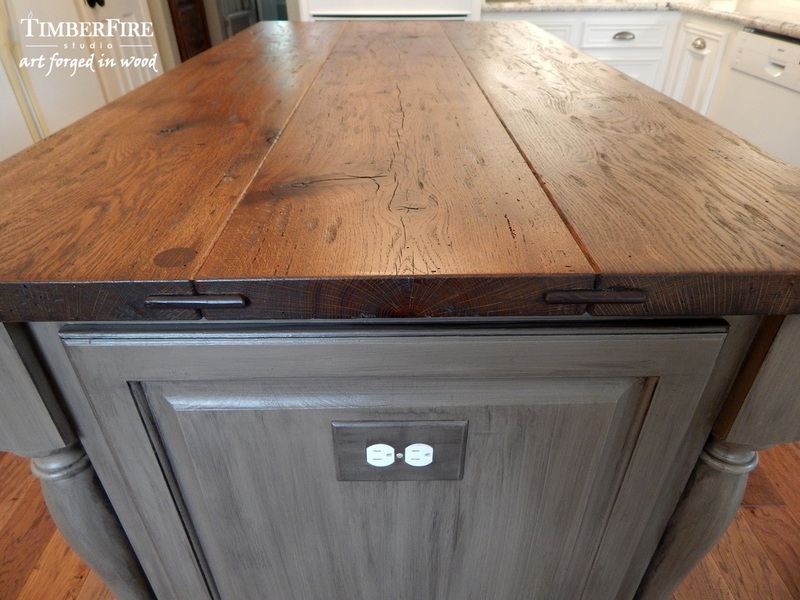 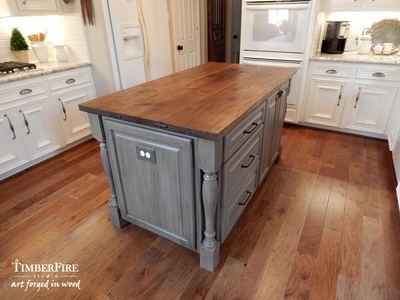 This island top was commissioned by a client who wanted a ruggedly beautiful centerpiece to anchor her elegant provincial kitchen. It features reclaimed White Oak salvaged from a timberframe Amish barn. These boards were originally part of the threshing floor where grain was separated from straw and husks. 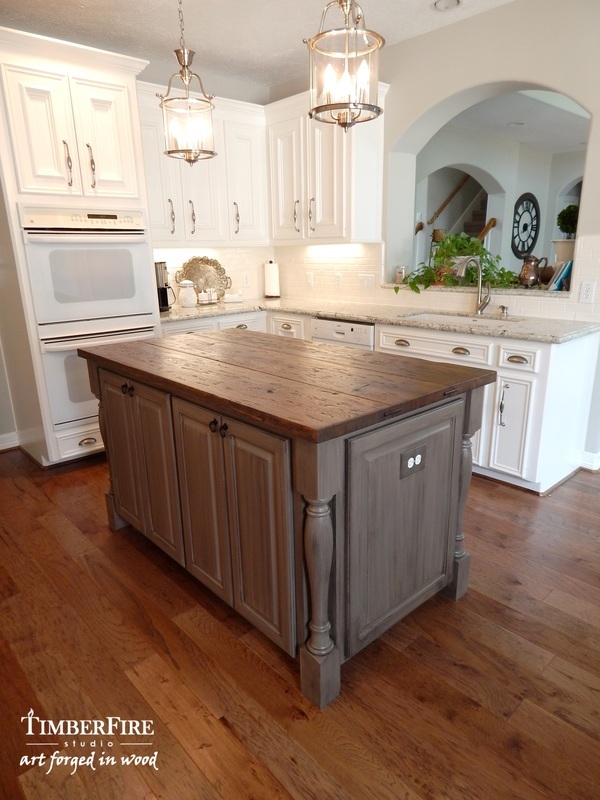 The design evokes the character of a centuries old farm table from the French countryside with the venerable wear and tear that tells the family stories of countless generations. 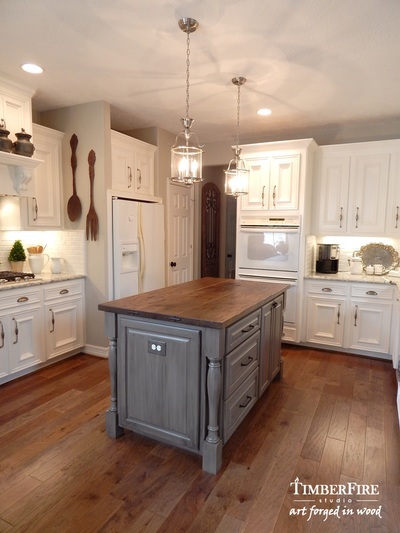 Special accents include Dutchman patches, bowtie keys, and walnut splines. 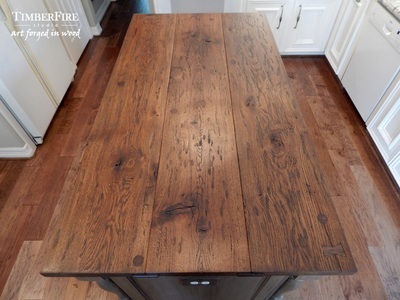 The finish is an environmentally friendly European hardwax oil that is both food safe and durable. It has been lovingly hand rubbed to a satin sheen.